Unfortunately, the Gmail App for Android does not support HTML email signatures. Please only use this guide if you’re planning to add a text-based email signature. 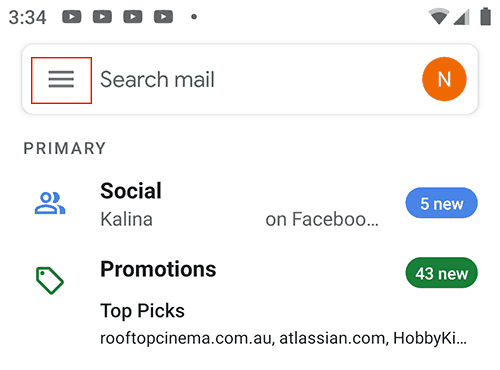 Open the Gmail App on your Android phone and tap on the settings button in the top left corner. 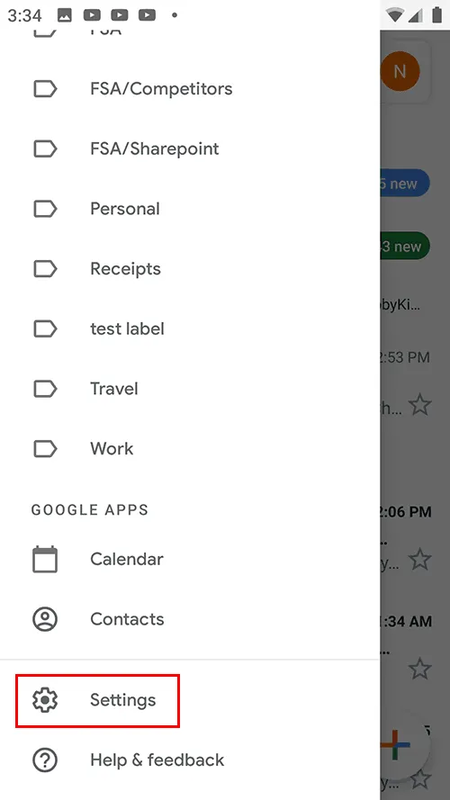 When the menu opens, tap on “Settings”. Scroll down and tap on “Mobile Signature”. 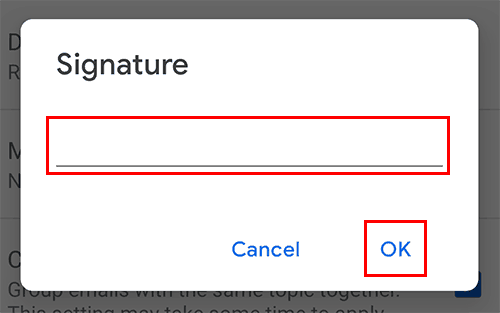 Paste or type your email signature into the Signature box and then tap the “OK” button. 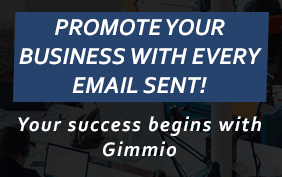 Your email signature is now installed! The way you are describing is not working for me. I removed the mobile signature and added one on the web based Gmail account. So when I send an email from the web based gmail, I have a signature, when I send one from the Android application, I do NOT have a signature. 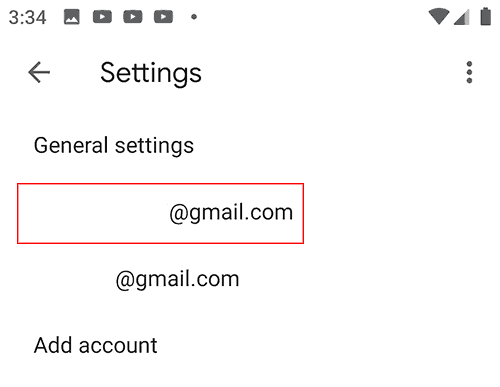 There is currently an issue with the Android Gmail app where it will not show email signatures that are appended to the webmail version of Gmail. This is only an issue for the Android version of the app, and the iOS version is working correctly. We are eagerly expecting an update from Google that will fix the issue but don’t have an ETA at the moment. Issue with creating a email signature in Gmail Android app. I created the signature with multiple lines. When I compose an email the carriage returns are stripped out. 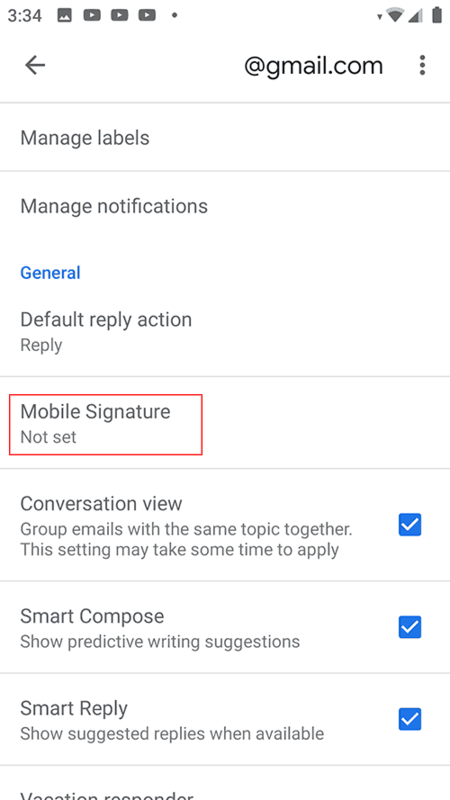 Since the Gmail app for Android doesn’t support HTML email signatures, you may need to create the signature as plain text in order to use it. If you paste a HTML signature in there, it will be converted to plain text, which sounds like what is happening.